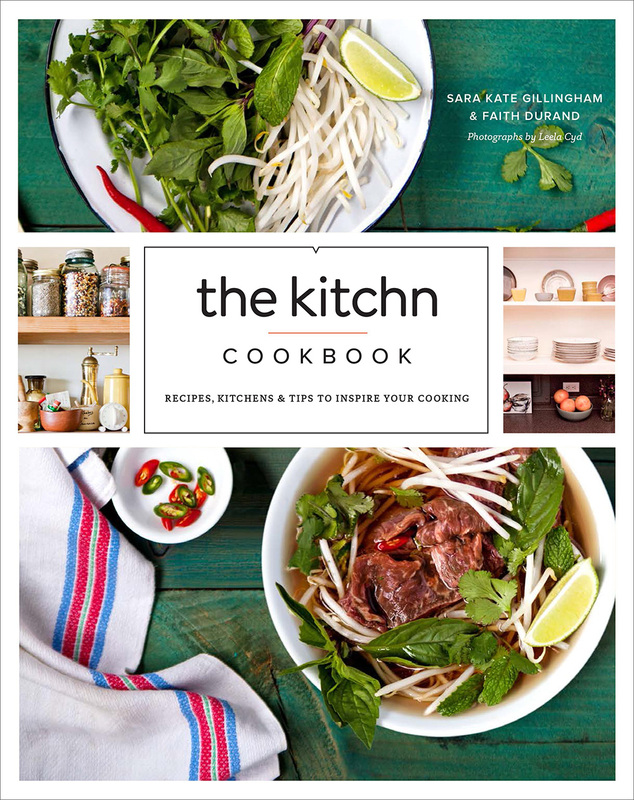 Faith Durand is the executive editor of The Kitchn and the author of three cookbooks. She is the recipient of the 2014 IACP Digital Media Award for Culinary Blog Group. Her work has appeared in the Chicago Tribune, New Haven Register, Pittsburgh Tribune-Review, and The Columbus Dispatch, as well as many other publications. Visit her website here. From Apartment Therapy’s cooking site, The Kitchn, comes 150 recipes and a cooking school with 50 essential lessons, as well as a guide to organizing your kitchen–plus storage tips, tool reviews, inspiration from real kitchens, maintenance suggestions, 200 photographs, and much more. “There is no question that the kitchen is the most important room of the home,” say Sara Kate Gillingham and Faith Durand of the beloved cooking site and blog, The Kitchn. The Kitchn offers two books in one: a trove of techniques and recipes, plus a comprehensive guide to organizing your kitchen so that it’s one of your favorite places to be. The Kitchn Cookbook gives you the recipes, tools, and real-life inspiration to make cooking its own irresistible reward. Everyone loves pudding! Chocolate, pistachio, butterscotch, maple bourbon. But why stop there? No-bake desserts include rice pudding with lemon, Nutella fluff, Thai sticky rice with mango, and wholesome "jello" made with fruit juice. No-bake cookies, and icebox cakes with whipped cream and graham crackers round out these special, delicious desserts. (Lots of them are gluten-free too.) Bakeless Sweets is the first cookbook to give you all of these beloved no-bake desserts in one big book.